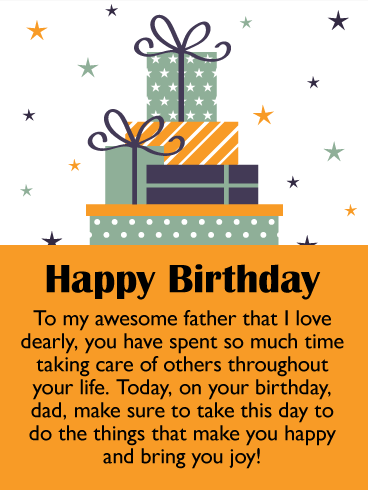 HAPPY Birthday - To my loving father! 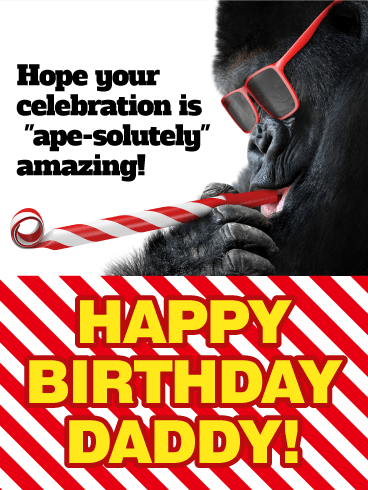 Wishing you an unforgettable birthday! 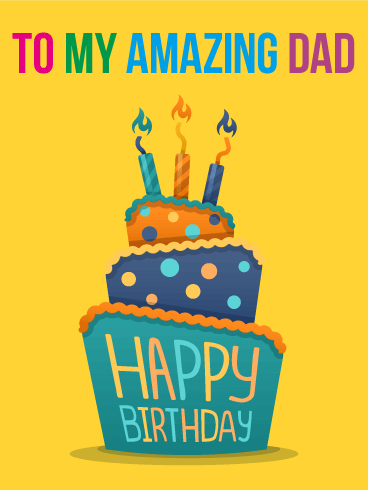 This colorful birthday card brings your best wishes for an amazing dad on his birthday! 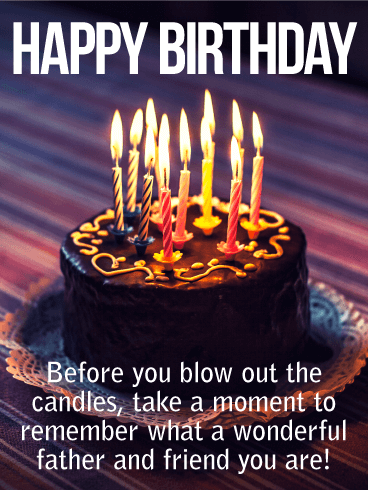 A fun and festive polka dot cake is topped with three bright candles to get him in the mood for a celebration, while the short but sweet message on top lets him know that he's on your mind and in your heart, not just today but every day! 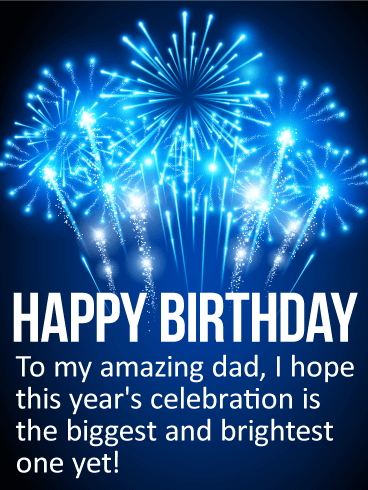 It's dad's big day. 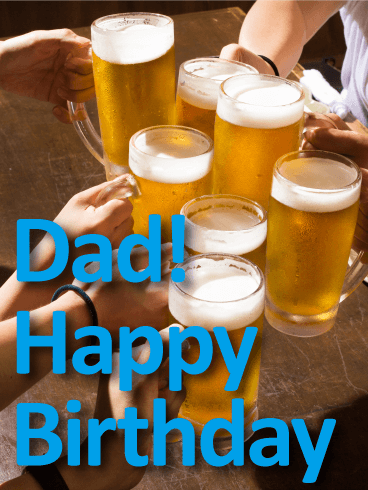 Raise a toast to him with this fun & festive birthday card! A round of beers will brew up some good times for the man of the hour, as he is joined by all the people that make like worth celebrating. The message may be simple, but the sentiment behind it is very special. 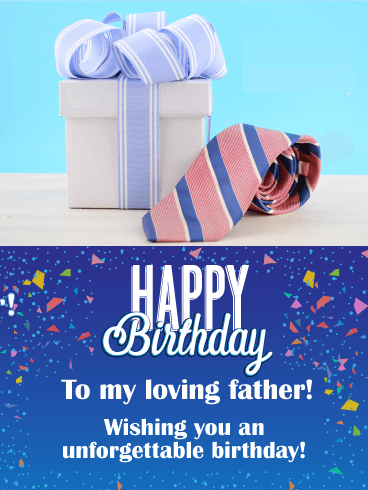 You took a moment to remind him, in your own unique, that you're wishing him an amazing day and year ahead. Let's be real... is there anything more adorable than a dog in a party hat?! Look at the intensity in those eyes! 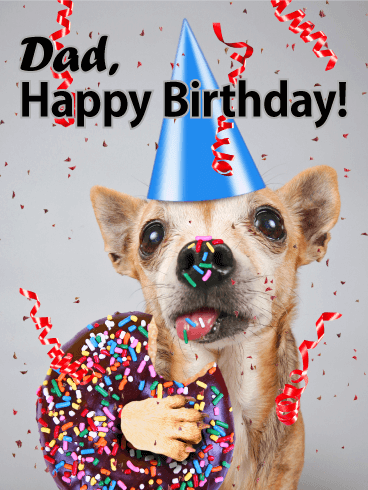 Your dog-loving dad will crack up at this birthday card. 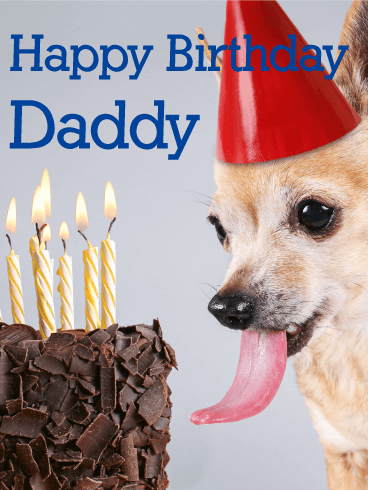 The giant tongue, the delicious-looking cake, the party hat- it's a slam dunk! 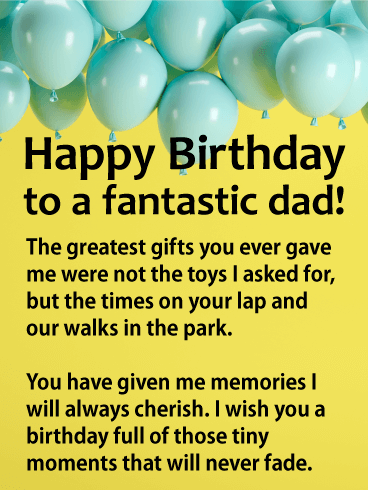 This birthday card is the perfect choice for any dad who enjoys a good laugh! The cake is in front of him. The candles are lit. 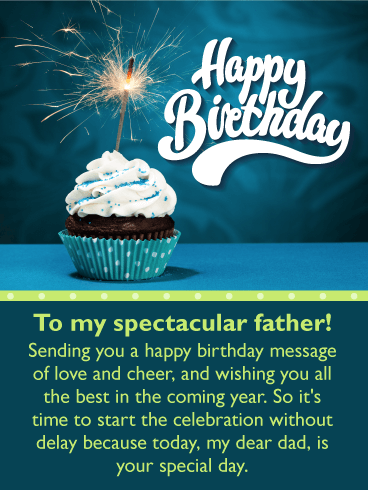 And everyone is waiting with anticipation as dad makes his birthday wish! 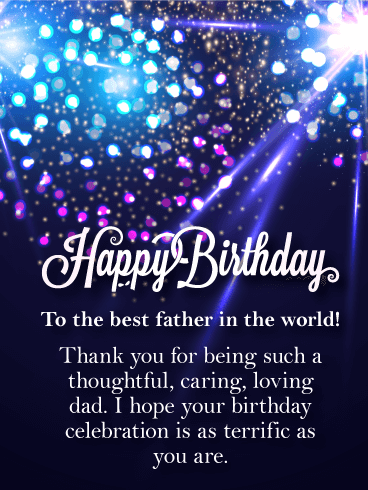 This touching card is a wonderful reminder to him that while the year ahead holds so much promise, it's also important for him to reflect on the past, and to realize how much he continues to inspire you every day, not just as a father but as a friend. 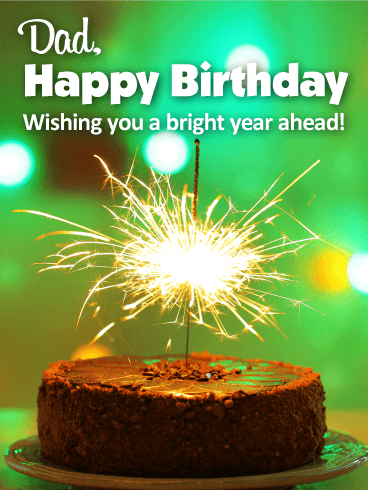 This festive birthday card has all the elements of a wonderful birthday celebration: a delicious-looking cake, a brilliant candle on top, and your best wishes to dad for a "bright year ahead!" There's a warmth behind these words, and the image makes it feel like you're right there with him, even if you may live miles away. What a wonderful surprise to share with the man who you look up to and admire so much.